Gesina Liedmeier has lived a creative life for as long as she can remember. As a child, she found inspiration in music and the visual arts, taking up the recorder and the guitar, as well as crafting and writing. 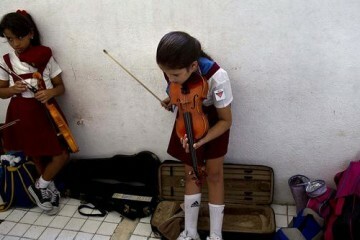 When she decided to make the transition from the guitar to a bowed instrument, her guitar teacher suggested the viola de gamba. 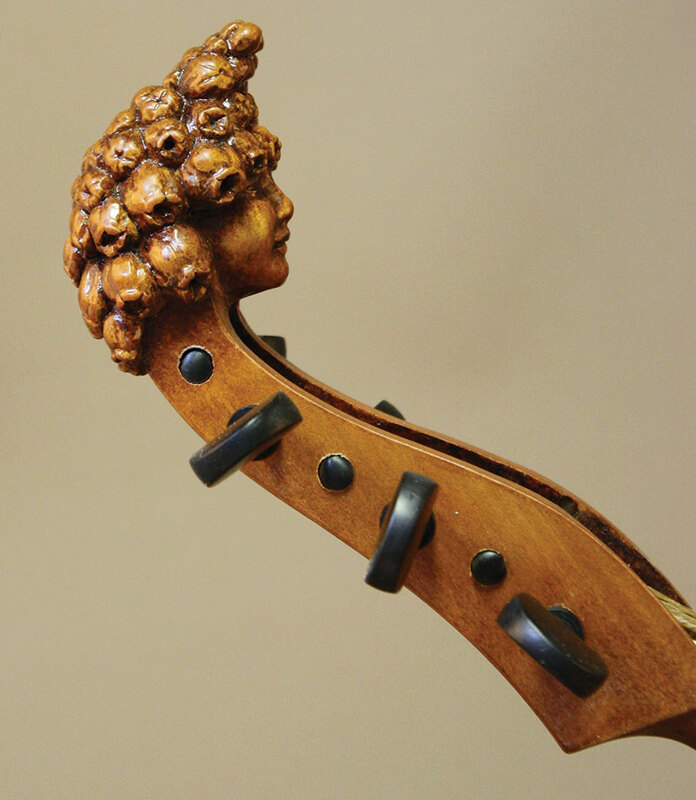 Liedmeier then took her passion for the instrument and art history all the way into higher education, where she studied viol at conservatory and prepared to become a professional player. 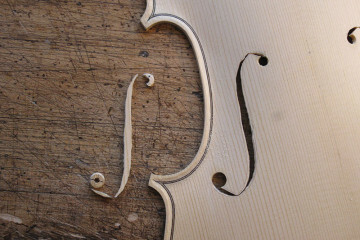 Possessed by her quest to live and breathe the viol, Liedmeier felt that knowledge of her instrument shouldn’t end at the playing of it, but begin there. 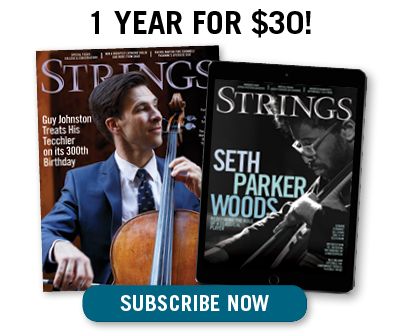 Her next step would be to make viols from scratch, to know every intricacy of the instrument, inside and out, from start to finish. 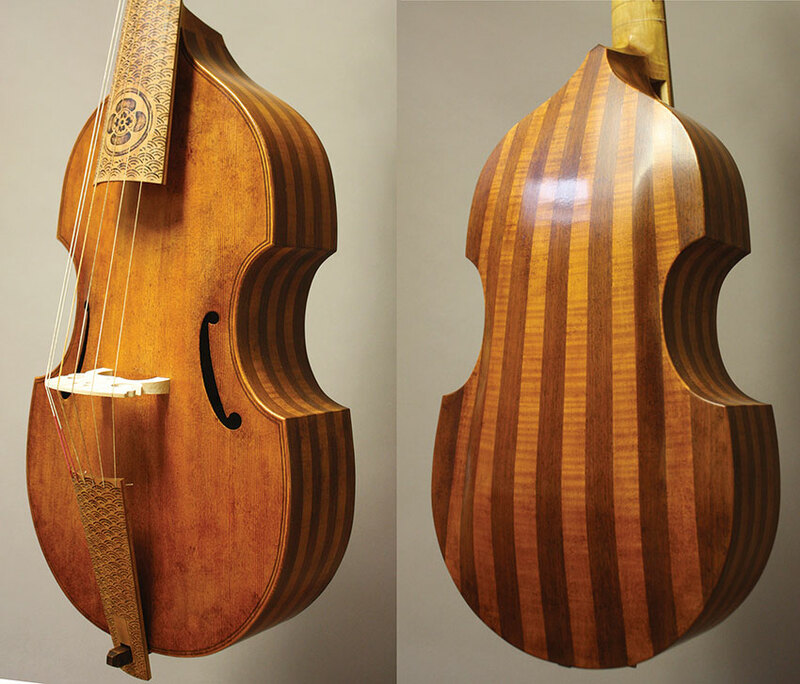 After studying under Wieland Kuijken at conservatory, she moved on to a professional fretted-instrument-making program in England, and from there, a viol-making apprenticeship in France. But everything changed for Liedmeier when she began restoring the historic collection at Gemeentemuseum in the Hague. 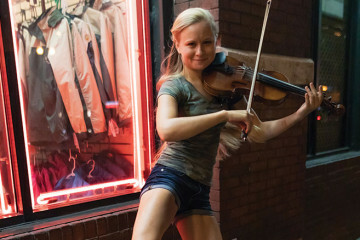 “Direct contact with original instruments taught me so much more than any master could have,” she says. “The biggest lesson [I learned] is that we tend to think in schools, very defined styles, but in reality, most instruments don’t fit exactly in those boxes. Like humans really.” She makes a good point. Liedmeier’s passion for her work is palpable, with a quick scroll through the gallery on her website. She’s taken the traditions and principles from her training and added a unique artistic quality, each piece made specifically to order. Each instrument is the result of hours of personal meetings and conversations with her clients in order to capture the essence of what they’re looking for in their playable work of art. 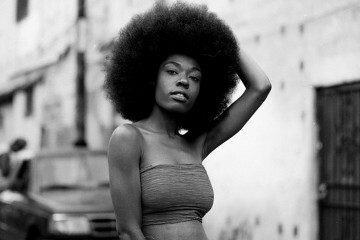 And art is an integral part of her vision. 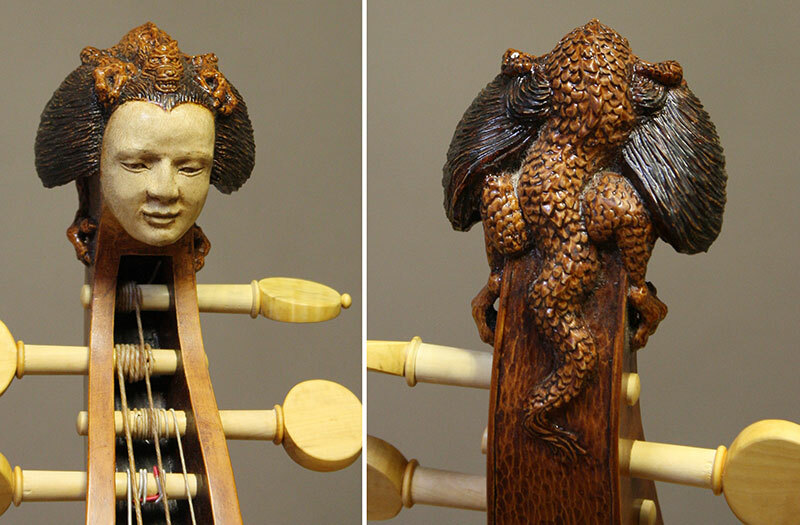 The heads of humans, animals, and spirits are carved into the scroll of each viol, and intricate lattice-like designs grace the backs and bodies of many of her instruments. 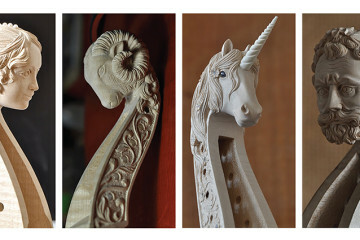 Attention to aesthetic detail extends to the necks and tailpieces, whether carved, stained, or painted. 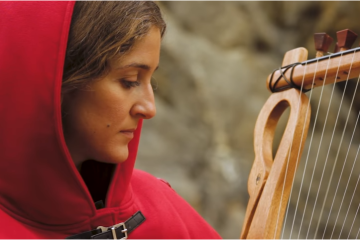 Because sound is everything, in addition to offering her instruments for sale, she also sells strings on her website. She has them made in Italy to her exacting standards. 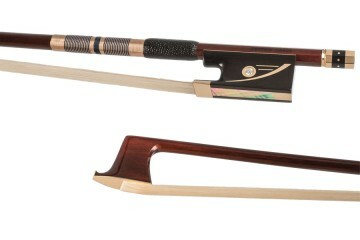 Her strings are designed to deliver a warmer sound with easy playability, due to their lower density. She recommends going up a size from what you’re used to if you plan to order a set. 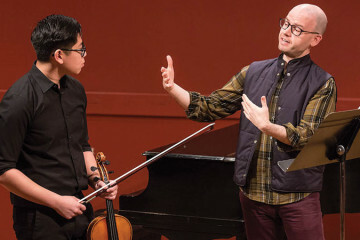 Liedmeier finds her inspiration not only from composers like J.S. Bach and Binchois (also known as Gilles de Binche), but also from visual artists like Jan van Eyck and Tilman Riemenschneider. What’s been intriguing her most lately has been using her craft as a vehicle for personal expression, exploring the intersection between creativity and pain and how people try to understand this in each other. These days she focuses almost entirely on commissioned pieces, as she doesn’t have time to create anything else. When she’s not working on a viol, she’s occasionally playing one. Liedmeier confided that, due to her incredibly packed production schedule, she has to be very selective about whom she plays with and when. 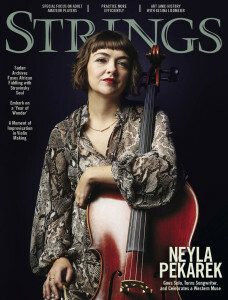 This article originally appeared in the February 2019 issue of Strings magazine.